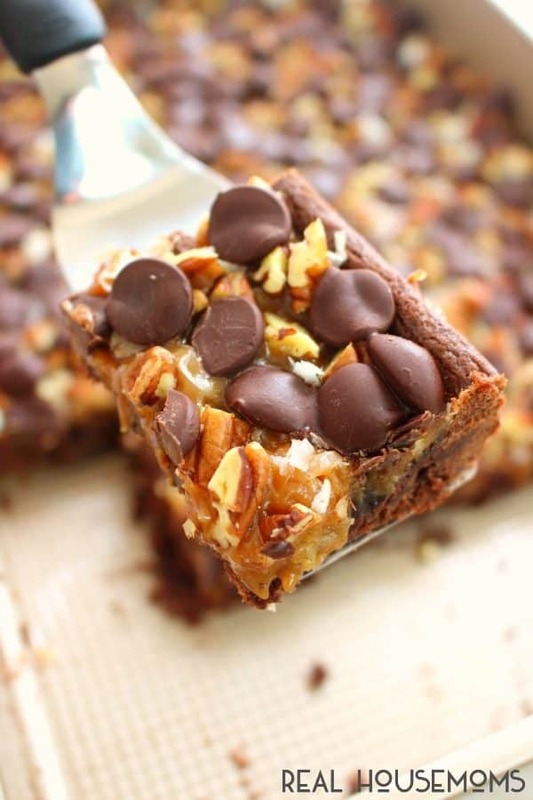 If you love caramel, pecans, coconut, and chocolate then these German Chocolate Cookie Bars are right up your alley! Made with a simple cake mix crust, and topped with all the goodies, these easy cookie bars are perfect anytime you’re in the mood for a decadent sweet treat! My husband’s birthday was a couple weeks ago. 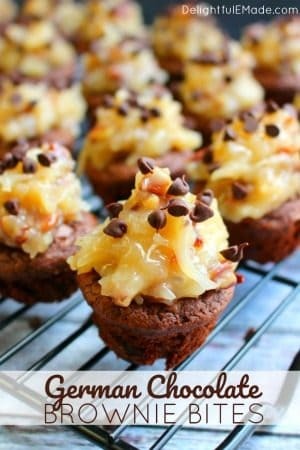 He always requests German Chocolate Cake, or anything remotely similar. This year, instead of the cake, I made these German Chocolate Cookie Bars. Not only were they a huge hit with my husband, but everyone at our house devoured them. 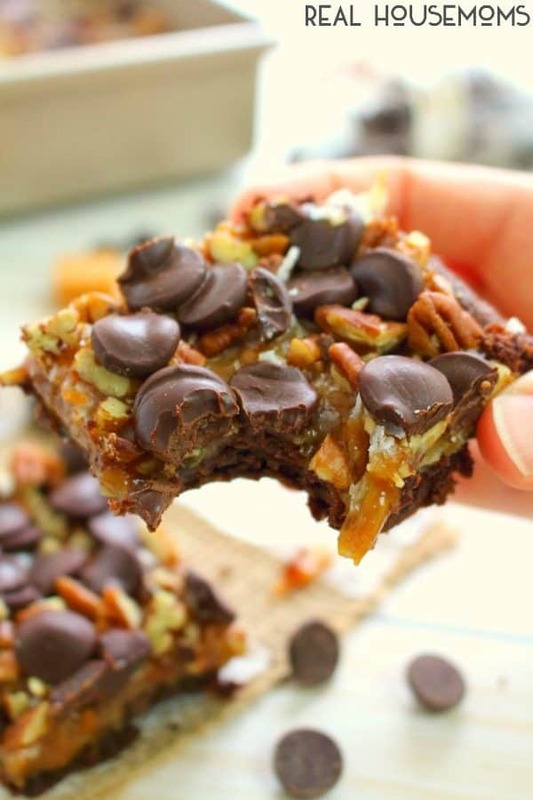 Made with a simple cake mix crust, and topped with caramel, coconut, pecans and chocolate chips, these bars are the real deal. And as far as my husband is concerned, even better than the classic cake! Make the Chocolate Crust – To make the crust, you’ll begin with a simple chocolate cake mix, and add melted butter and milk. The batter is then spread into a 9×13″ pan and baked. Once the crust comes out of the oven, you can then add the toppings. Add the melted caramel and toppings – Once the crust comes out of the oven, you can then pour the melted caramel. When melting the caramels, add the milk, and microwave in increments, stopping to stir. Pour the melted caramels over the top of the chocolate crust, and evenly spread. Then, sprinkle on the coconut, pecans, and top with the chocolate chips. To set the toppings, bake the bars for another 15 minutes. Cool and Slice – One lesson I’ve learned over the years – when baking any type of bar or brownie, be sure to let them cool completely before cutting. Not only does this lend to even and easily cut squares, but you won’t end up with a gooey mess, as the ingredients will be set. To speed up the cooling process, feel free to place the bars in the freezer for 30 minutes. When ready to slice, cut into 20 squares. 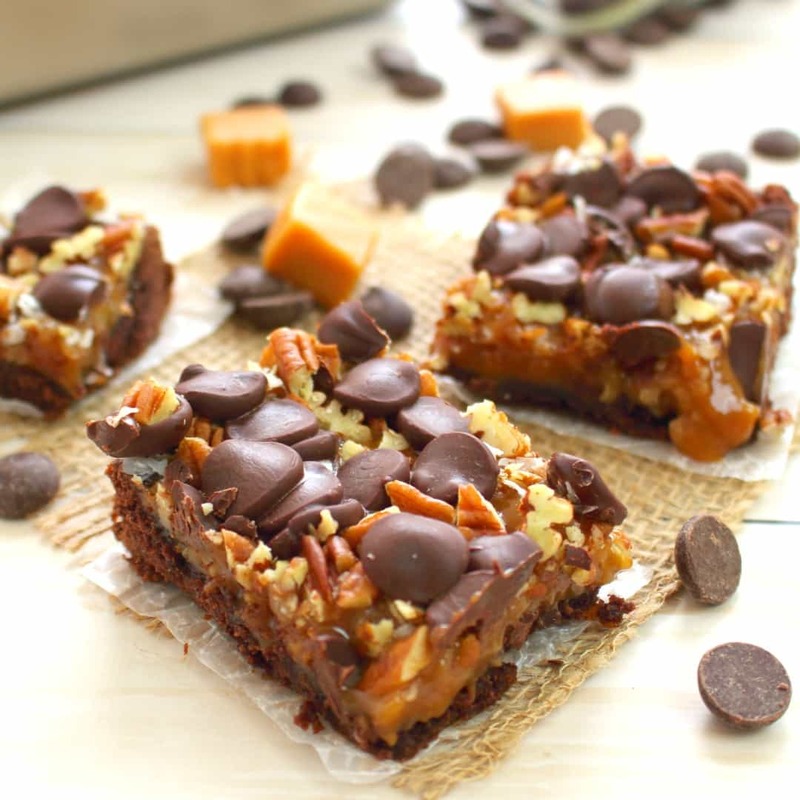 These bars are fantastic to enjoy anytime you’re in the mood for something sweet. 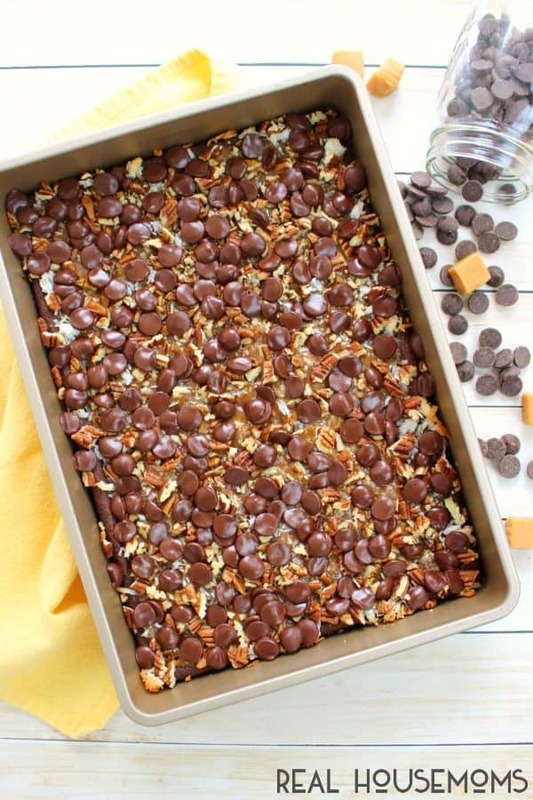 Fantastic for a potluck dessert, or even just a dessert to enjoy with your family. Because they’re so simple to make, they’re perfect for just about any occasion. 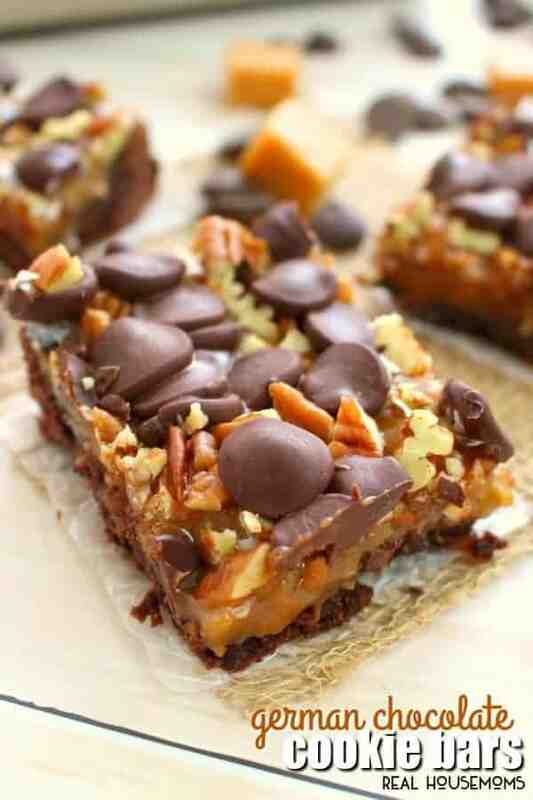 Want more cookie bar recipes? Baking Pan: A deep-sided rectangular baking pan is a must have for home bakers. This one has nice sharp edges to make sure your dish fits just right. 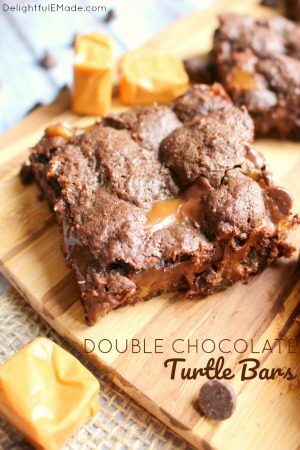 If you love caramel, pecans, coconut and chocolate then these German Chocolate Cookie Bars are right up your alley! Made with a simple cake mix crust, and topped with all the goodies, these easy cookie bars are perfect anytime you're in the mood for a decadent sweet treat! In a mixing bowl pour the melted butter and 1/2 c. milk into the cake mix. Stir. The batter will be sticky. Using a rubber scraper, evenly spread the batter into the 9x13 pan. Bake at 350 degrees for 15 minutes. While the crust is baking, melt the caramel. Place all of the caramels into a microwave safe bowl, and add the remaining 1/2 cup of milk. (Melt in 1-minute increments, stirring each time. It took me 2 1/2 minutes to get to a smooth fully melted consistency.) Pour the caramel evenly over the crust. 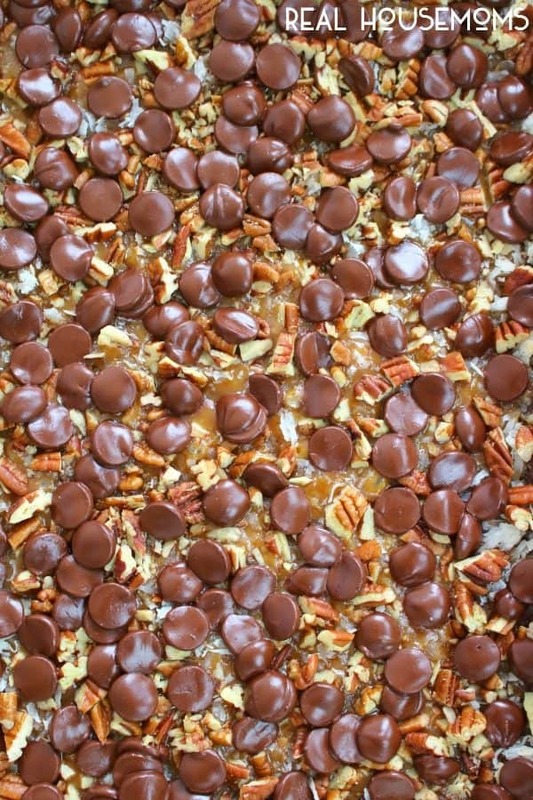 Next, sprinkle the coconut, pecans and chocolate chips evenly over the caramel. Bake for another 15 minutes. Remove the bars from the oven and cool completely before cutting.